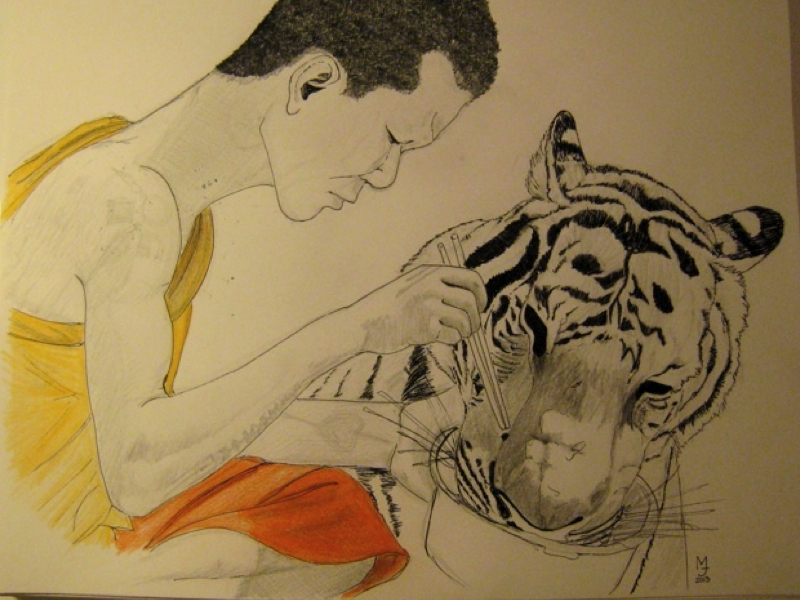 There's a place in Thailand where monks live along side tigers. Known as the Tiger Temple, this place is said has been rescuing abandoned cubs for the past fourteen years. Tigers and monks live side by side and it seems to work. There's something fascinating about the possibility of humans and tigers living in harmony like this.